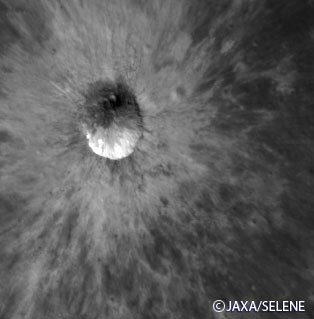 The Japan Aerospace Exploration Agency (JAXA) carried out an observation using two onboard sensors of the Moon Explorer "KAGUYA" (SELENE,) the Terrain Camera (TC) and Multi-band Imager (MI,) on November 3, 2007, processed the acquired data, and confirmed they were functioning properly. 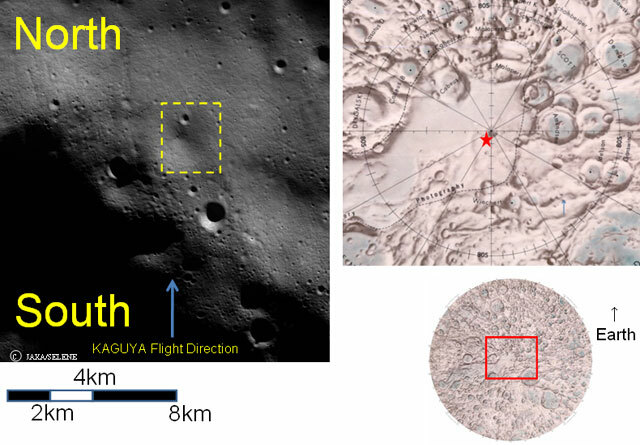 The observation was part of the initial functional verification of the KAGUYA, which had been injected into the Moon's orbit at an altitude of about 100 km. 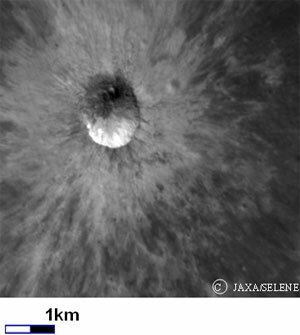 In a global first, both three-dimensional (stereo) observations of the Moon by the TC with a 10-meter aerial resolution and a multi-band observations by the MI with a 20-meter aerial resolution of the Moon's backside and near polar were taken. 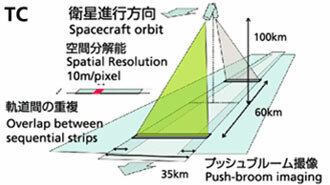 The satellite was confirmed to be in good health through telemetry data received at the Usuda Deep Space Center. 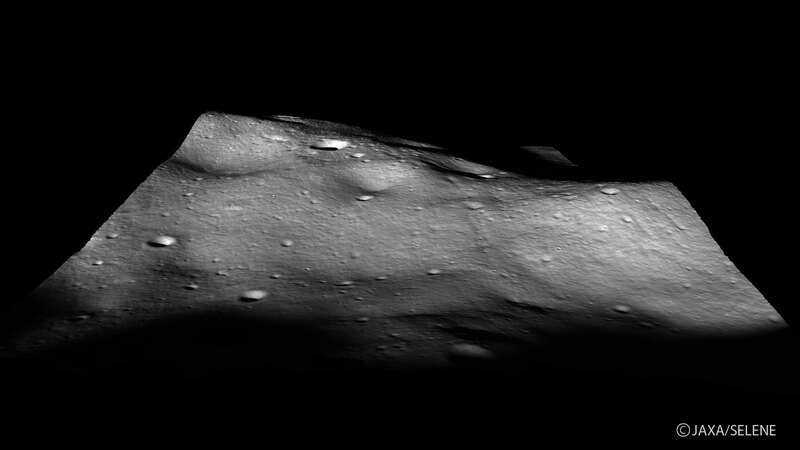 Accurate, three-dimensional terrain images acquired by stereo observation of the TC high resolution camera are important data to elucidate the development process of the Moon's unique terrain. 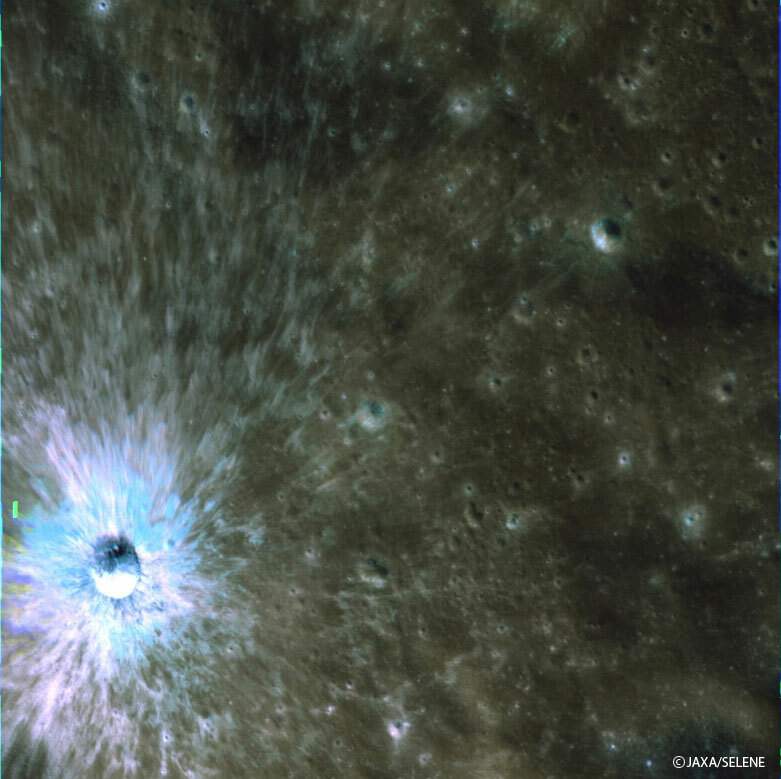 With detailed investigation of the crater distribution, we can estimate more precisely when each area of the Moon has been formed and can study more details of when the Moon was born and how its inside and surface have been changing. 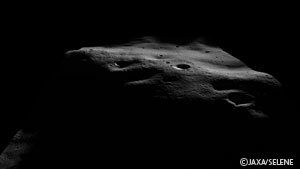 Furthermore, data acquired by the TC is expected to be useful for studying topographical characteristics and daylight conditions to determine the best location for a future Moon station and to consider manned activities on the Moon. 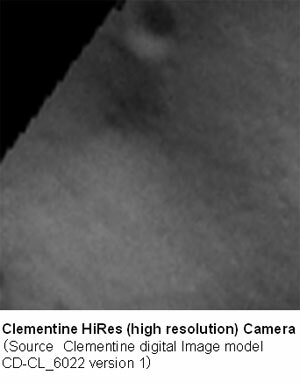 You can see the comparison between the image taken by the KAGUYA TC cut out from the TC's first image data (the area encircled by the yellow dot square in Figure 1) and the image shot by the high aerial resolution camera onboard the Clementine Satellite. 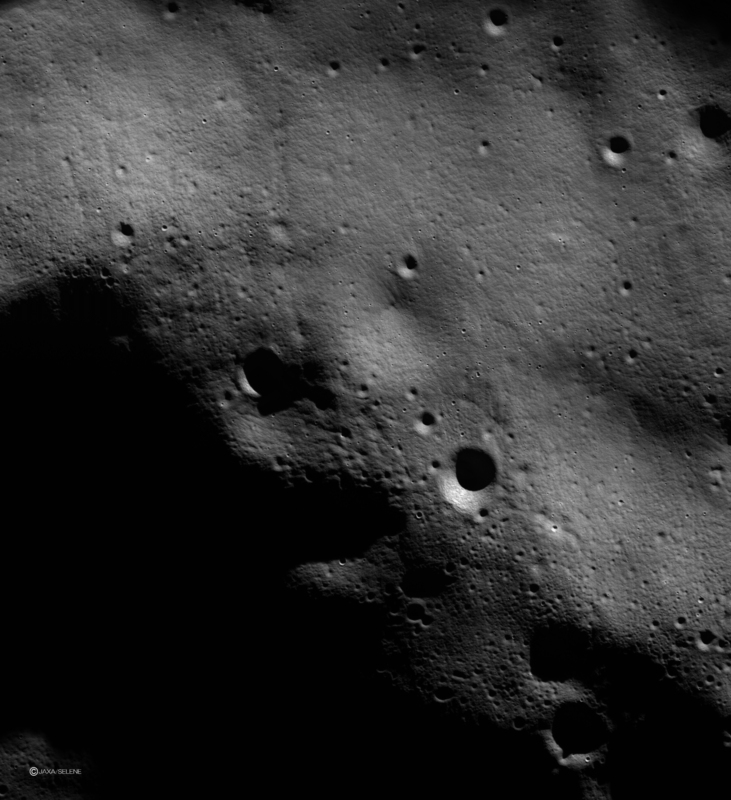 In the TC camera image, you can see that the smaller craters (10-90 meters in size) and the minute structure of the inside of a crater. 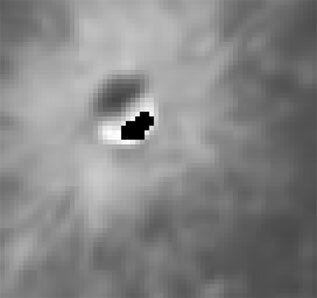 The above images were composed by using the stereo view observation data shown in Figure 1. 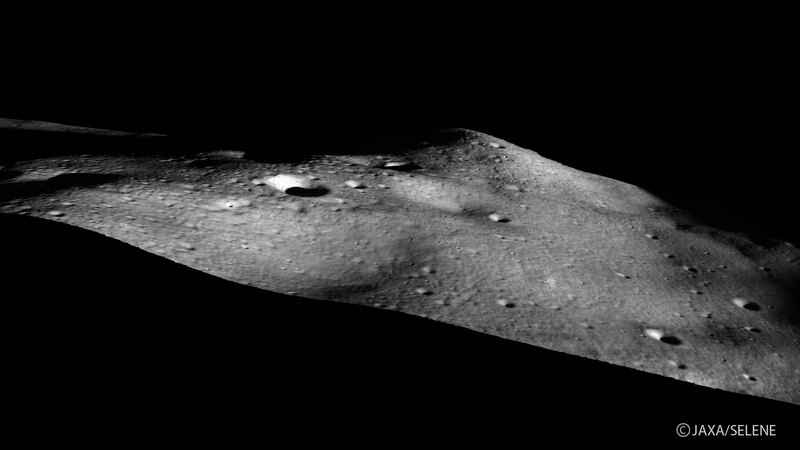 Upper left: view from west to east. 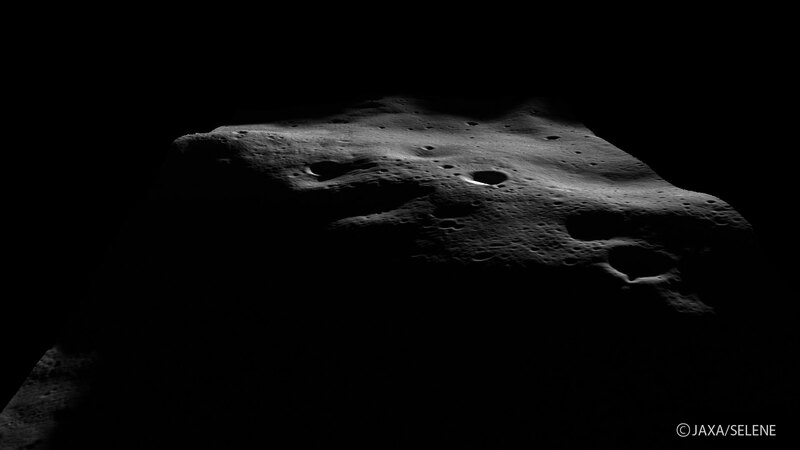 Upper right: from south to north. 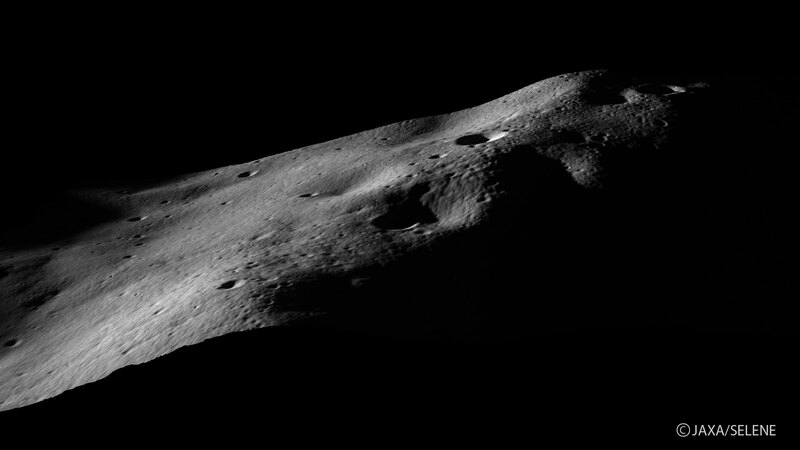 Lower left: from north to south. 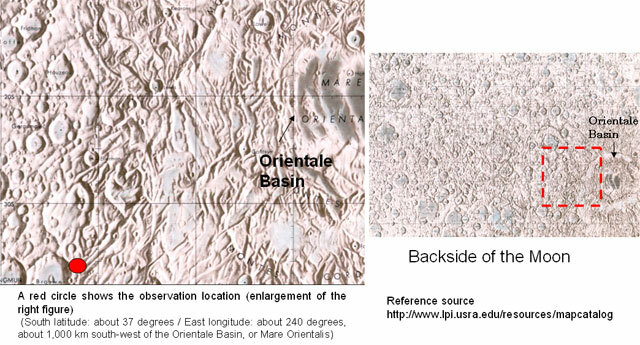 Lower right: from east to west. 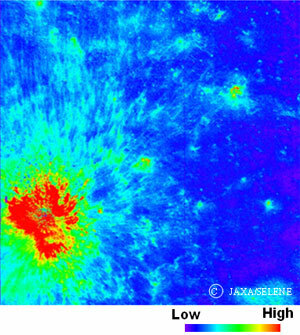 The Multi-band Imager (MI) is observation equipment to measure mineral distribution by analyzing the reflection of nine observation bands of visible to near infrared band widths. The initial functional verification for the MI was held on November 3, 2007, and the first Moon observation was successfully performed. By comparing different band images (comparative calculation), the MI can acquire detailed geological information including mineral distribution as well as distribution of material that has been dug up by crater formation (Figure 1 and 2.) 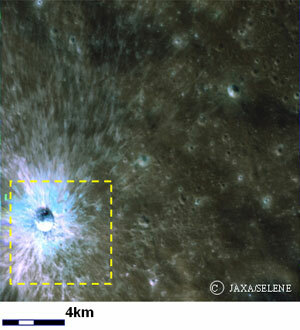 The MI has an aerial resolution of 20 meters (maximum), thus its resolution was improved by one digit compared to the former Moon explorers (Figure 3.) 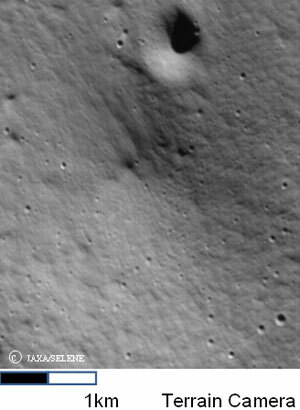 With the MI, we can acquire various information about geological formation that has occurred over the past several billions of years on the Moon's surface, and that is expected to be useful for significantly improving our study on the origin and development of the Moon and for contributing to future manned activities on the Moon through various findings including the clarification of the distribution of useful minerals. 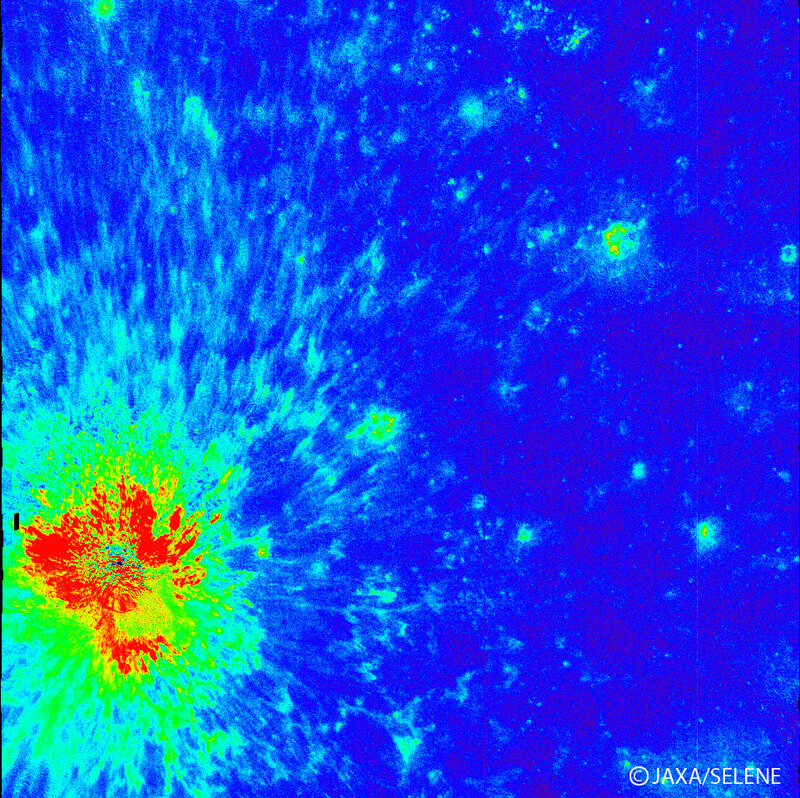 The color image of the Moon (quasi color image) was composed by applying red, green and blue respectively to three bands, namely 900nm, 700nm and 415nm, of the nine bands of MI. 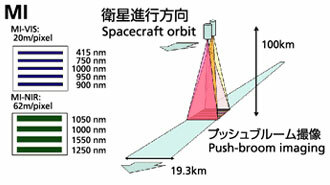 The comparative computation image shows the comparison of the strength of two bands, 750 nm and 1,000 nm. By processing image data acquired by multiple band widths, we can learn the volume and scattered direction of material dug up to the surface from the inside and chemical composition of materials existing underneath craters. 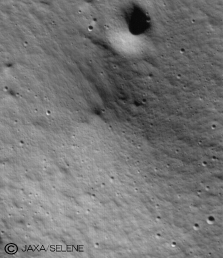 Such information is necessary for studying the scale and direction of a collision when a crater was formed. 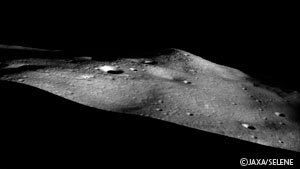 The image was not calibrated yet, but, by comparative calculation, we can more clearly see the inconsistency of the distribution of material scattered around the crater compared to in a single-band image. The red to yellow (then yellow-green) areas indicate that more dug-up material exists there due to crater formation on highlands anorthosite surface soil (in dark blue).